We are a leading Manufacturer of ldpe sheet, water proofing ldpe sheet and ldpe road lining sheets from New Delhi, India. Polyethylene Geo membranes are extensively used for prevention of liquid contamination. 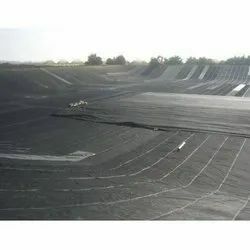 They act as perfect liners to prevent contaminations from entering groundwater sources, as well as prevent seepage loss, and hence, help in potable water conservation. India has the largest amount of rainfall in the world. Despite this, India conserves only approx. 1% of rainwater, with the remaining amount of rainwater returning to the ocean, whereas the developed countries conserve approx. 15-16% of the available natural resources through rain /ice melting /river water etc. Indian farmers and many industries are totally at the mercy of rain god. Water bodies lined with Geo membranes / Films have proved to be a boon and helped to reduce the dependence on the rain god. The conveyance of irrigation water in canal system often give way to water seepage and ultimately leads to loss of irrigation water. 70% of irrigation water is lost in a completely unlined canal. Mono Industries not only offers a complete solution to this perturbing problem, but also offers the best method of repairing the existing deteriorated concrete linings. The life span of roads depends on various factors like the soil being prevented from sub-grade movement. This is achieved by using LDPE sheet and LDPE plastic sheet placed in such a way that the aggregate is permanently separated from finer soils below. This prevents the sub-grade to enter into the aggregate and at the same time, improves the underground drainage of roadways. 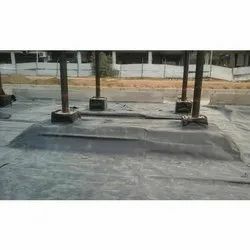 We are one of the manufacturer and supplier of Water Proofing LDPE Sheet. These offered range are highly demanded in market. In addition of this we offer our products in market leading price. We feel tremendous glad to offer a broad range of LDPE Road Lining Sheets to our lofty customers. Offered sheets are made utilizing high review low-thickness polyethylene and advanced innovation at our settled assembling unit. 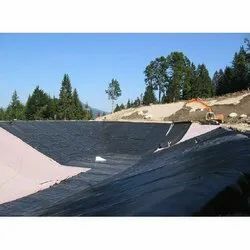 These sheets are perfect for trench lining, lakes/repositories, streets, and so on.